Imagine a tiny queen being carried up a mountain as she ate Cheerios and Goldfish crackers. The last time I had gone hiking was fall 2016. My body was crying out for a session of nature therapy. I had some free time, so I mentally committed to hiking 3.4 miles with my almost-2-year-old in tow. That doesn’t sound challenging, right? The challenging part wasn’t the distance or that my little one was with me, it was that I didn’t have a carrier for her. I apparently needed some crazy in my life, so I went for it without allowing the excuses to get in the way. I was going into my hike knowing that my arms would serve as the carriers on this journey. We got to the top, enjoyed the view while resting on the community bench, and met some friendly retired men who were stumped on how such a tiny human could hike up the mountain on her own. After explaining how she had done it, they laughed with me and gracefully acknowledged my commitment to outdoor activity and role as a mother. You have to do what you have to do to help yourself, right? On our hike down, my little one fell asleep. Her head was draped over my shoulder and it was here that my arms started feeling fatigued. I did my best to ensure I wasn’t compromising our safety by taking it slow as we came down the mountain, but I still managed to fake-trip (when you catch yourself before falling and hope no one is looking). My sudden movement startled my daughter and she jolted off of my shoulder, but remained asleep. I brought her into a cradle position to hold her close and comfort her, although she didn’t seem the least bothered. As I carried her in my arms like the infant she once was, I stopped under some shade to admire her angelic sleeping face. Seeing her young sweet face relaxed and without a worry in the world helped me understand that I am her keeper. I was chosen to protect her, teach her, guide her, and love her unconditionally. The laughter that I breathed out as I climbed the mountain turned into gratitude as I better understood my place in this world. 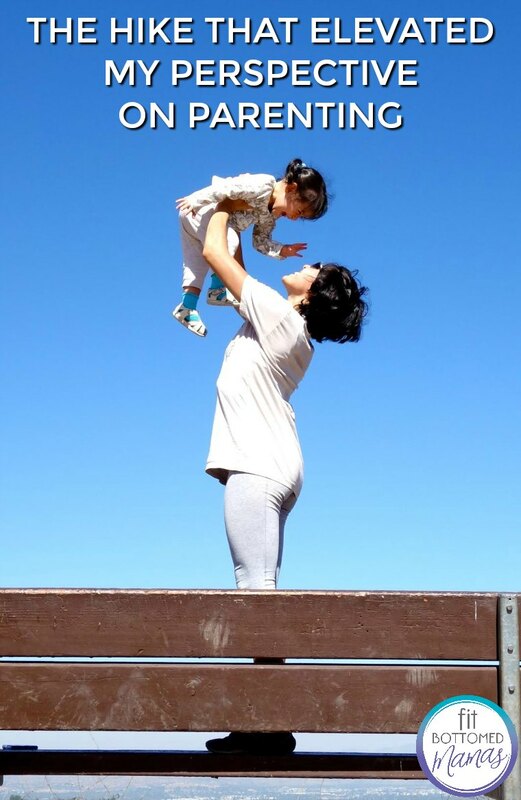 There is no payment for the challenging role that it is to be a parent; however, I can see how there is no payment needed because of the trust that my child has in me. Although my fake-trip jerked her body, my child did not once open her eyes to question whether she was safe. She was in Mama’s arms, and in those arms, all was well. My heart feels humbled to know that there is a human being able to love me and trust me unconditionally the way she does.